Sweden has long been one of the most LGBT-friendly countries in the world, decriminalizing homosexuality was back in 1944 and passing marriage equality in 2009. Now the Swedish military is letting people know that while its soldiers always shoot straight, they may not live their lives that way. 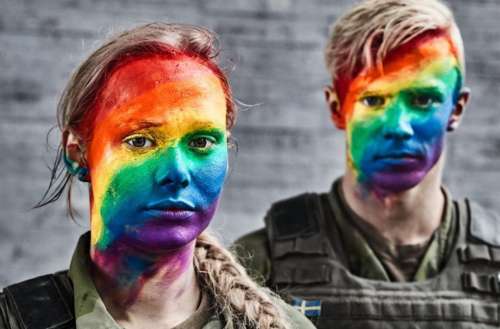 A Swedish military band is also performing at West Pride at Gothenburg, running August 14 to 19 and also including performances by Mashrou’ Leila and Bananarama. “We stand up for the values we are tasked with defending,” the Swedish military said in a statement. 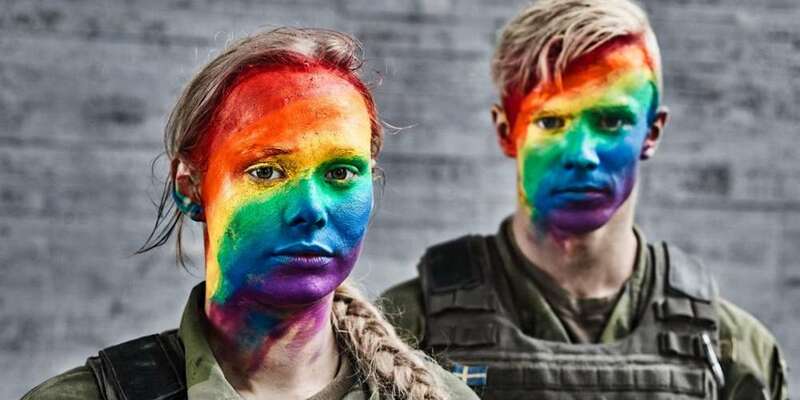 “The Swedish Armed Forces is an inclusive workplace where we view people’s diversity as a strength. We have been proud Pride participants since the turn of the millennium because it is important that we take a stand and show that we will stand up for the equal worth of all people – whatever their sexual orientation, gender identity, or gender expression. 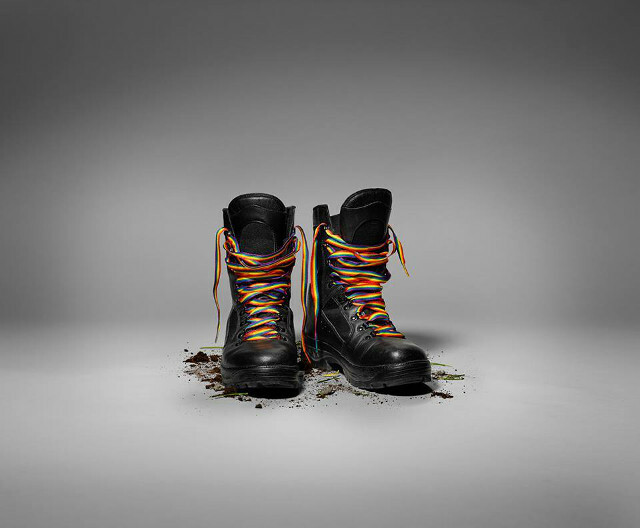 Sweden was one of the first countries to allow gay men to serve openly in the military, which it did before homosexuality was removed as a mental disorder in 1979. It continues to be one of the few Armed Forces that welcomes trans service members.